Providing unparalleled on-site service within 50 miles of Albuquerque, New Mexico, Steve’s Door Installation has been your local door installation and service expert for more than 20 years. We specialize in door repair, alignment and more, and we carry a wide variety of doors for custom installation. Stop by and see our inventory! 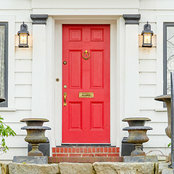 Door installation, door repairs, and all door services! Bernalillo County, NM and surrounding cities.